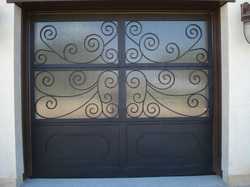 Gates hand built to match your custom design choice, or match your gate to your garage! Our gates are versatile to install, swing, slide, or split, these doors are built to last the life of your home. Scrolling patterns, custom glass, and finishes, these doors are special. We start with raw materials, and hand turn each scrolling pattern, as well as hand making the steel frame. Shutters built to match your home, in many designs and styles. These shutters are the perfect touch to your beautiful windows.